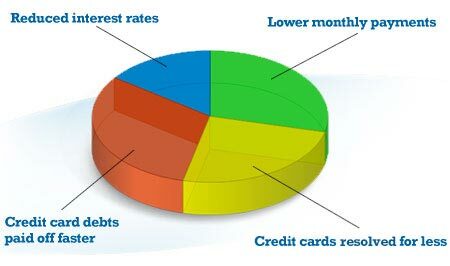 Many residents who are experiencing tough financial times and searching for debt relief options are considering a wide variety of debt relief programs, in addition to personal bankruptcy. Like so many others across the country, many residents of New York find themselves in over their heads and need assistance to help with managing, reducing or paying off debts from credit cards and unsecured debts like utilities, department store charges, or medical bills. Luckily, there are debt relief options or "solutions" that may allow you to lower your payments, reduce debts, save money, and get out of debt at an accelerated pace. 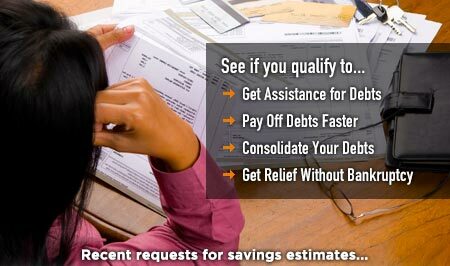 These debt relief options typically include debt consolidation, debt management via credit counseling, debt settlement, or even bankruptcy. Many residents may require assistance beyond debt relief programs for more immediate relief, such as help paying for utilities, rent or even buying groceries. To help low-income individuals and families with children, the state of New York has a variety of financial assistance programs available, such as the Food Assistance Program (SNAP), Medicaid, and the Low-Income Home Energy Assistance Program (LIHEAP). To learn more about these services, go to the state's homepage and click on the Benefits page. Copyright © 2019 NewYorkDebtRelief.org, All Rights Reserved.